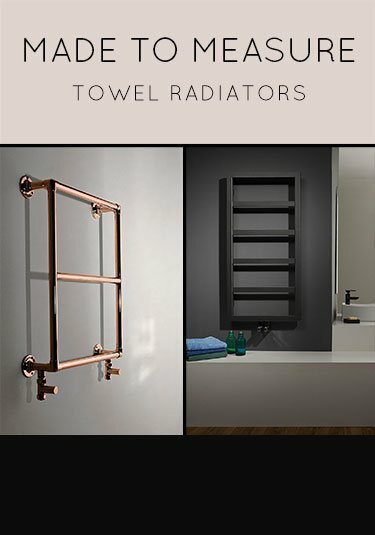 A luxury collection of traditional towel rails and bathroom towel radiators. Our heated towel warmers are selected for their design, serviceability and most importantly build quality, ensuring longevity of service. 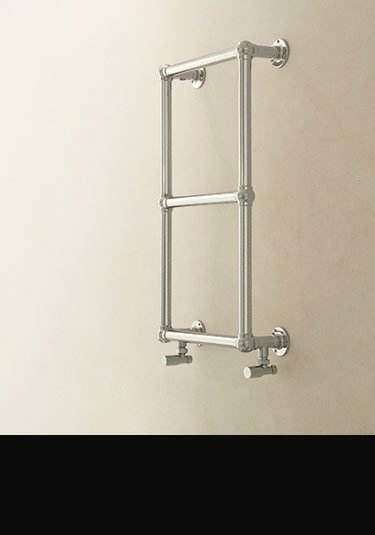 * Towel rails supplied in chrome, nickel, gold & polished stainless steel. * Towel warmers suitable for central heating, dual fuel & electric systems. * Bathroom radiators are in traditional, Victorian & Edwardian styles. * ToweI radiators are wall hung, floor mounted and freestanding. * Made in Britain and Europe. A traditional ball jointed towel rail that stands at a right-angle to the wall. Stylish freestanding radiator made in the UK. Supplied in a range of sizes and finishes, with bespoke options also available on request. 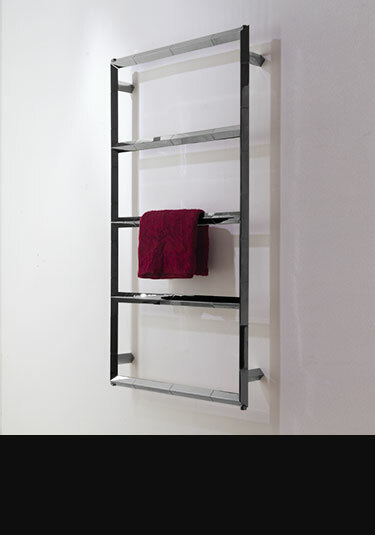 This black heated towel rail is an exclusive design, made in Britain. With a high quality powder coated black finish, this black bathroom towel radiator is a stylish design feature for modern bathrooms. 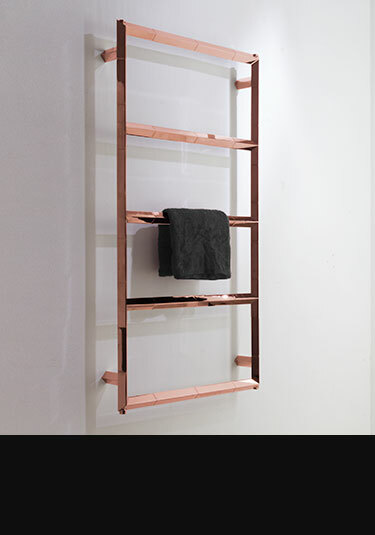 This copper bathroom towel rail is inspired by classic Art Deco designs. Made from high quality copper plated stainless steel. Available in 9 towel rail sizes with bespoke sizes also available. Made in Britain. Based on a traditional British design, this heated natural brass towel radiator is an ideal design choice for both traditional & classical interiors. 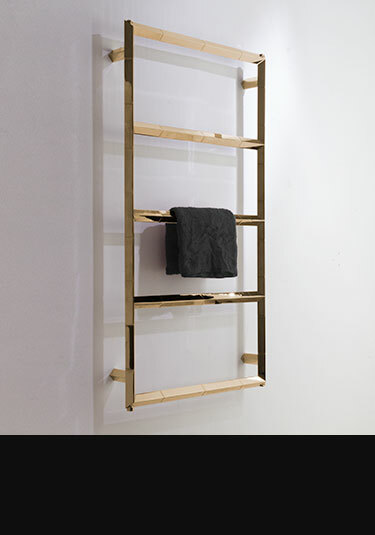 Each bathroom radiator is made in solid brass with a brushed or polished finish, which is left unprotected allowing natural tarnishing or periodic buffing to keep it`s natural golden brass finish. 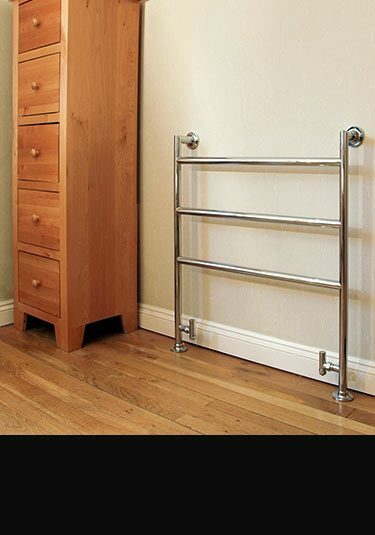 Each heated towel rail can be supplied for central heating, dual fuel & electric only systems. 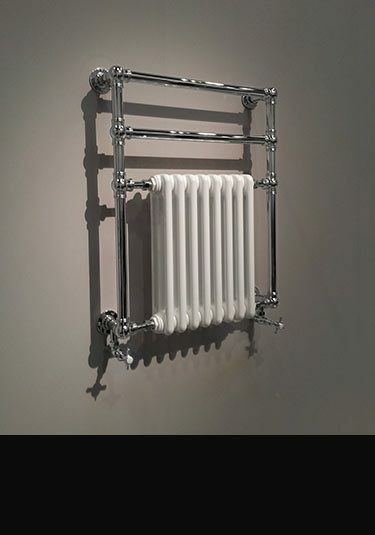 Based on a traditional British style, this heated towel rail could also easily fit into a classically contemporary interior. 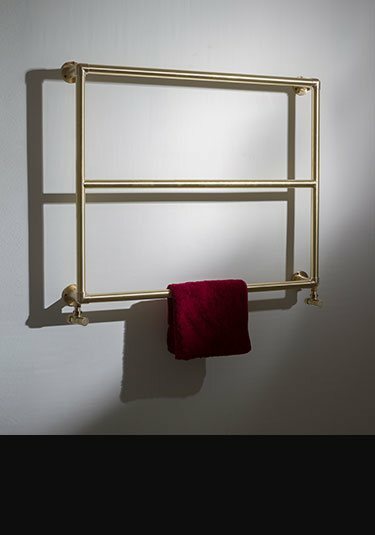 Made in Britain in solid brass with a choice of chrome, nickel and gold plated finishes, this towel rail can be supplied for central heating, dual fuel and electric only systems. 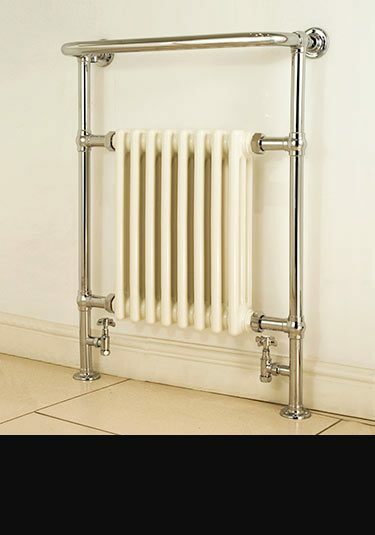 This exclusive Livinghouse radiator design is a lovely quality heated towel rail with traditional jointing and finished in chrome. This towel warmer is available for central heating, dual fuel and electric only heating systems. 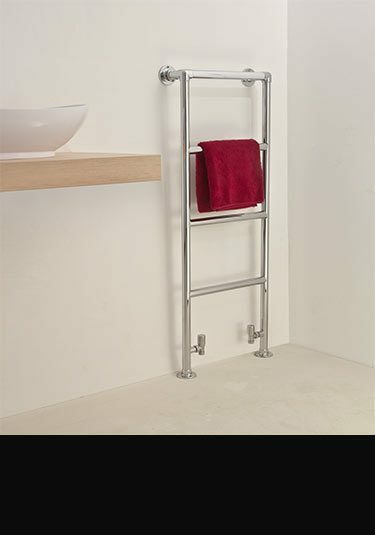 This low and long multi-rail heated towel rail is an ideal space saving addition to a bathroom. Designed as an under window towel warmer this radiator is European made with a smooth chrome plating. 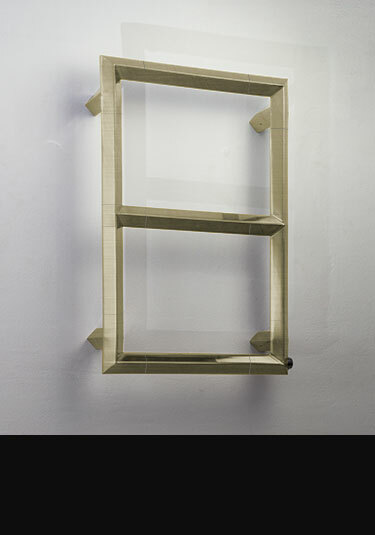 Unique art deco radiator in polished gold finish. Made from high quality gold plated stainless steel. Bespoke sizes also available. Designed and made in Britain. 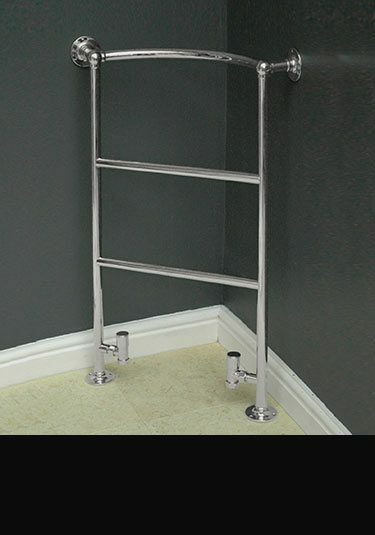 A traditional ball jointed English towel rail that has been designed and manufactured in Britain. Available in many sizes and in the finishes of chrome, gold and nickel, all onto luxury solid brass. 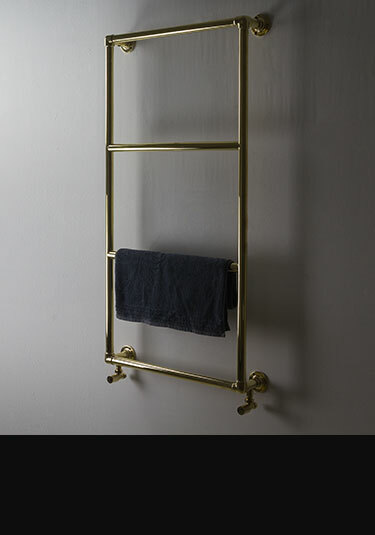 Traditional British made towel warmer that in made of superior brass with a choice of chrome , nickel and gold plated finishes. Good heat outputs. 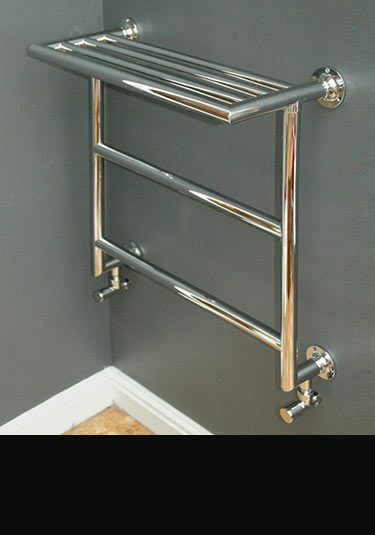 A British manufactured traditional towel warmer styled on an old British design. Available for central heating, dual fuel and electric only systems in chrome, nickel and gold plated finishes. Lovely handmade quality. 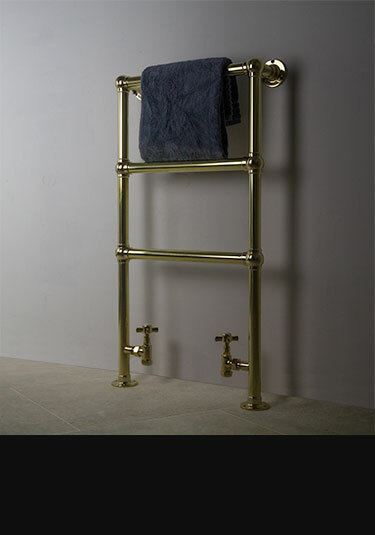 A traditional ball jointed towel rail made in Britain in solid brass with a choice of chrome, gold and nickel plated finishes. This luxury quality towel warmer is based on an old original style and is suitable for central heating, dual fuel and electric only systems. 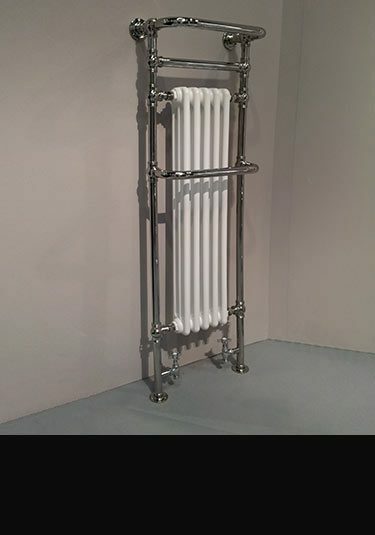 A traditional styled bathroom towel radiator based on an old original design. 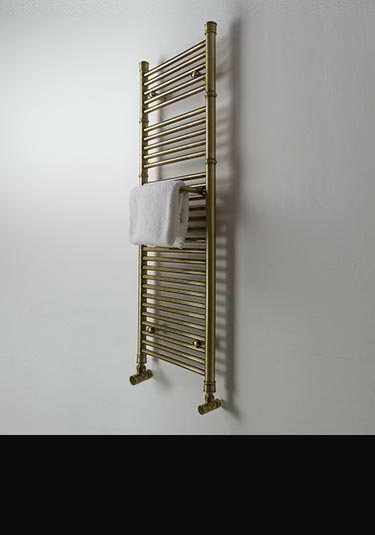 This heated towel warmer is made in Britain using solid brass tubing with a choice of chrome, gold and nickel plated finishes. 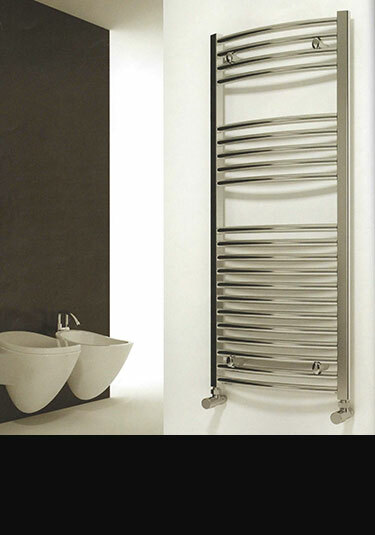 This tall heated towel radiator is superior British manufactured in solid brass. 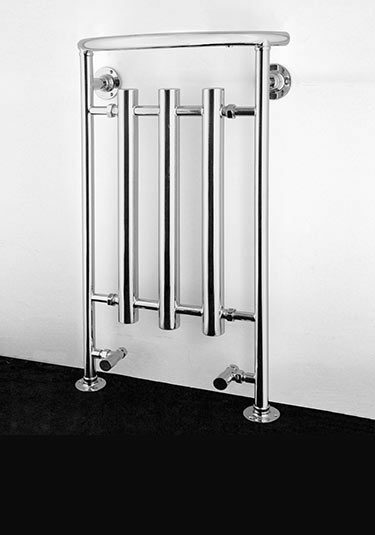 Each traditional towel warmer can be supplied in chrome, gold or nickel finishes for central heating, dual fuel and electric systems. 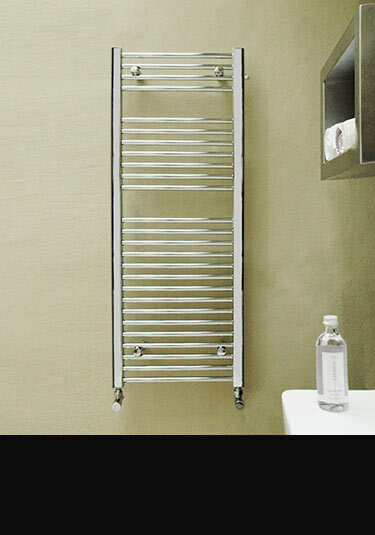 This bathroom towel radiator has well spaced heated bars which allows the easy hanging of towels. Supplied in many sizes with bespoke dimensions also available. A heated towel radiator that is made in Britain in superior brass with a choice of chrome, nickel and gold plated finishes. 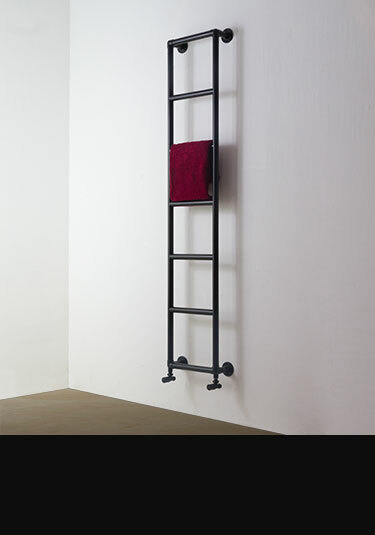 This traditional towel hanging radiator has well spaced hanging bars for easy towel warming. Available for central heating, dual fuel and electric only systems. A stylish ball jointed towel rail designed in a authentic traditional style. Suitable for central heating, dual fuel & electrical systems. 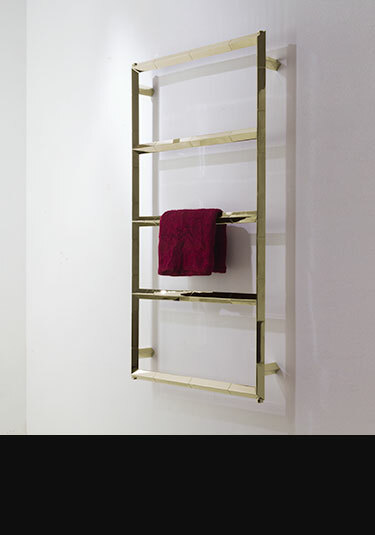 Made in Britain in solid brass this luxury towel warmer can be supplied in chrome, gold & nickel finishes. This Art Deco bathroom towel radiator is made with a high quality rose gold finish. 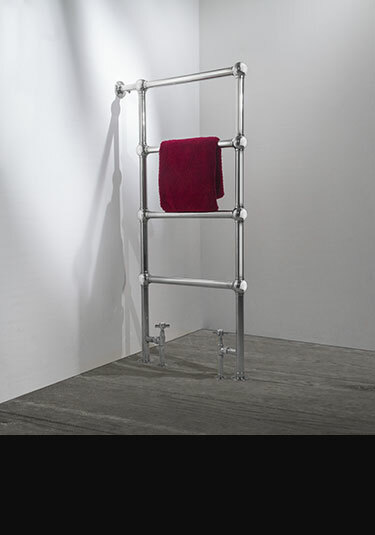 Available in 9 towel rail sizes with bespoke sizes also available. Made in Britain. This standard heated towel rail is our entry bathroom radiator. 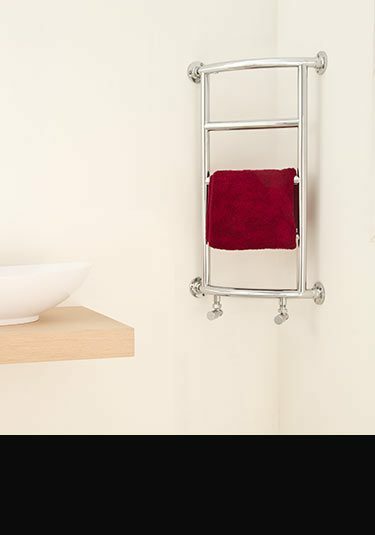 This multi-rail towel warmer is European manufactured and is far better than the Asia versions but it is still a chrome plated steel rail. 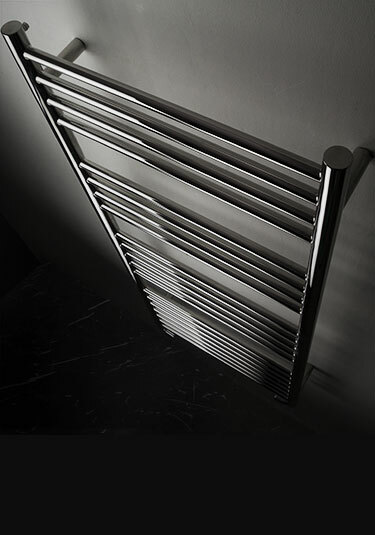 We include this radiator on price, but would recommend our stainless steel version as a far better towel warmer. 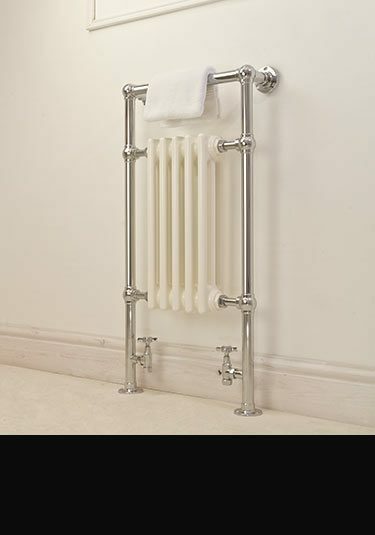 Made in Britain, this traditional towel warmer with a central white column radiator is based on an old towel rail design. Made in solid brass tubing with a choice of chrome, nickel and gold plated finishes, this traditional bathroom radiator is luxury quality. 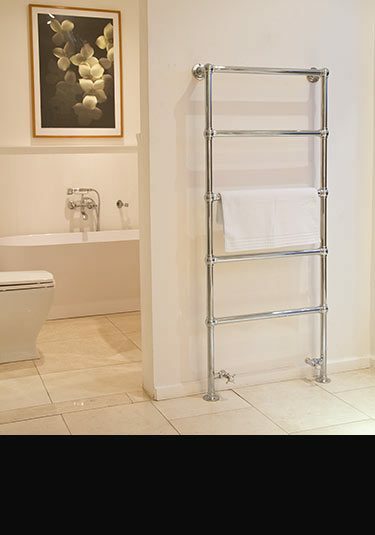 A British manufactured traditional towel rail to an old ageless British design. 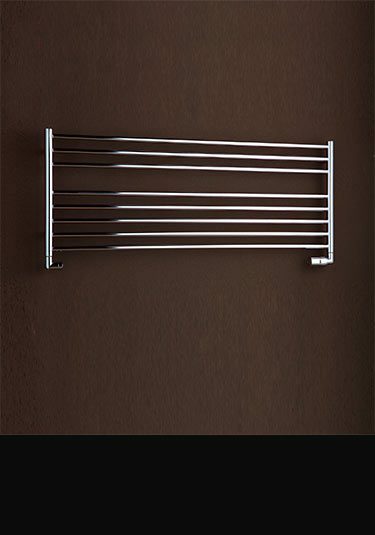 Available for central heating, dual fuel and electric only systems, this towel warmer can also be supplied in chrome, nickel and gold plated finishes all onto solid brass. Lovely quality. 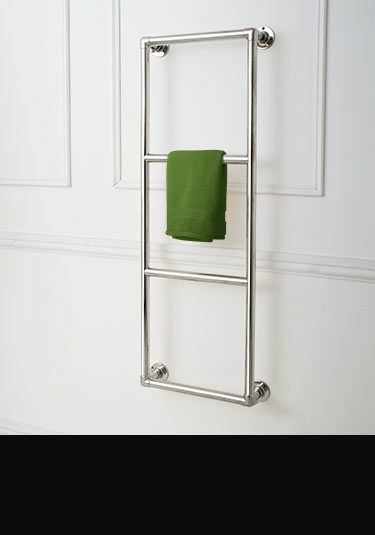 A beautiful quality British made towel radiator with lots of easy towel hanging space. Each heated towel warmer is available in chrome and the luxury finishes of nickel and gold, all with the choice of using on central heating, dual fuel and electric only systems. 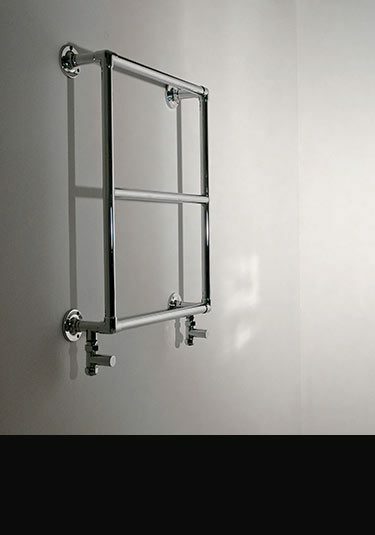 A British made corner mounted towel warmer available for central heating, dual fuel and electric only systems. This wall hung towel radiator with its corner mounting is an ideal space saver in smaller and difficult shaped bathrooms. Available in chrome, nickel and gold plated finishes all onto superior solid brass tubing. Sylishly finished in our unique Black Chrome plating, this bathroom towel warmer is a real statement for modern and traditional bathrooms alike. The high quality stainless steel means it's built to last. Exclusively designed and made in Britain. 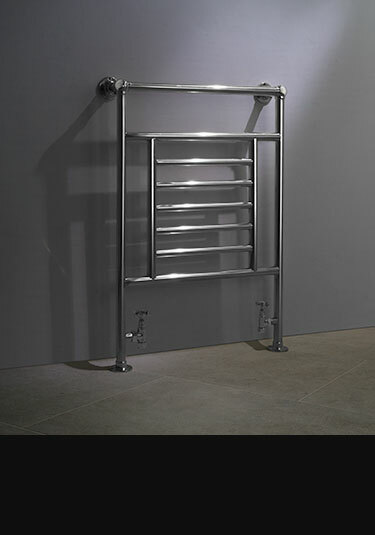 A superior British made heated towel rail that is designed for corner installation. This corner towel hanging radiator is suitable for central heating, dual fuel and electric only systems in chrome, nickel and gold finishes, all onto solid brass tubes. 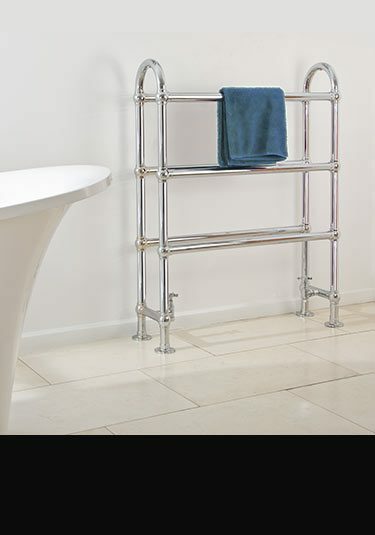 This stylish floor mounted heated towel rail is made in Britain to a very high standard. Available for central heating, dual fuel and electric only systems and in the plated finishes of chrome, gold and nickel. 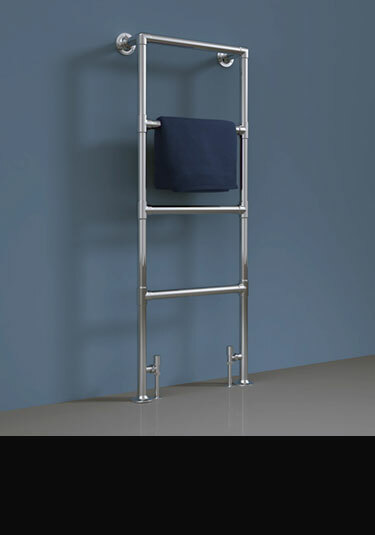 A standard multi-rail towel rail available in lots of sizes. This towel warmer can be central heating, dual fuel and electric only and is European manufactured and supplied with a 5 year guarantee.